Nichrome N80 Flatwire UK is a high quality flat wire for experts in coils! The flat form multiplies the heating surface and the compostion in Nichrome 80 assures excellent reactivity of the coil and a homogeneous heat. The Nichrome N80 is sold in a reel around 3m. Made in the United Kingdom by Flatwire UK. The Flatwire UK is reserved for users with experience in constructing coils, familiar with the OHM law and utilisation of batteries. 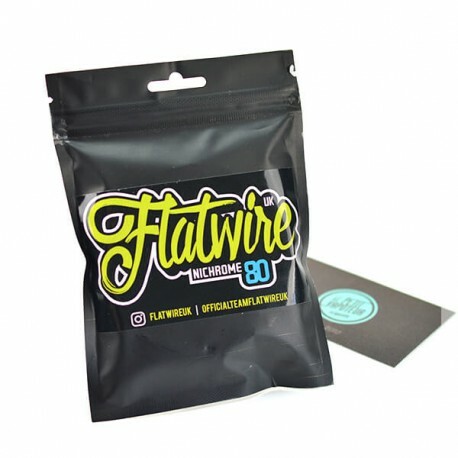 The Flatwire Uk resistive wires allow the construction of low and ultra low based coils. The flat form allows you to expand the heating surface of the coil and increase the production of vape. 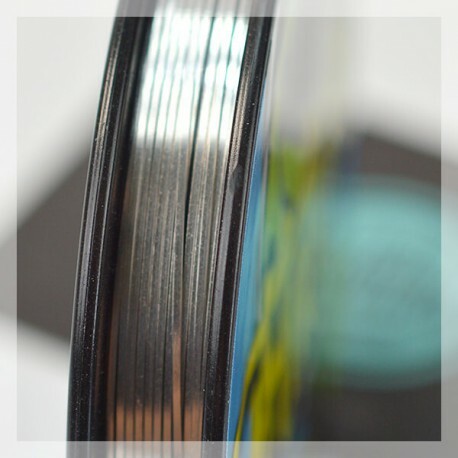 The Nichrome N80 AWG is sold in a reel around 3m. J'adore ce cable, saveur saveur. J’enlève 1 étoile pour le prix et le devidoire complétement pourris. Mais sujet saveur et durée fais le job.